Topmount sinks remain the most popular choice for all types of kitchens from traditional to modern. They’re available in the widest selection of styles, sizes and materials, so you might have a difficult time deciding between many options that would be a beautiful fit for your kitchen design. 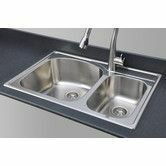 Our set of topmount kitchen sink guides will help you narrow your choices and select a sink that looks great and gives you the practical benefits you most want. 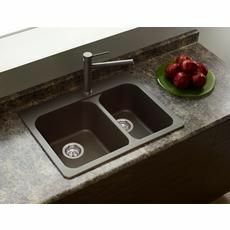 You’ll enjoy our popular topmount sink Pinterest page where you’ll find inspiration and information as you put your kitchen design together. 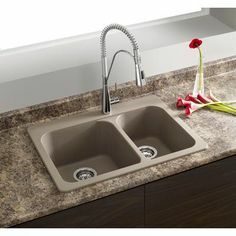 Browse our Pinterest pages for all the types of sinks we cover. Whether you’re only replacing the sink or want your entire kitchen remodeled, it’s important to find an experienced company to do the work. Your best approach is to get multiple estimates, so you can evaluate the price and experience of the installers. The most convenient way to get estimates is to click and fill out the form on this page. Provide a few details of the project, and you’ll receive competitive estimates from three of the top kitchen contractors where you live. The service is free to you, and there is no obligation to accept any of the estimates.